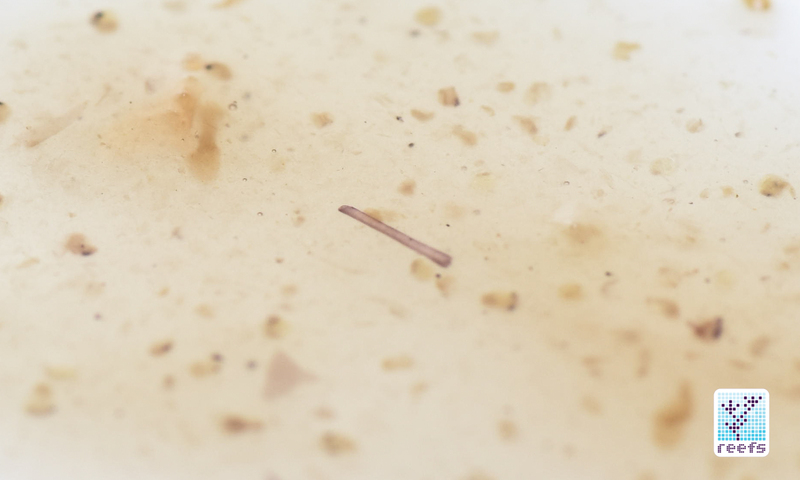 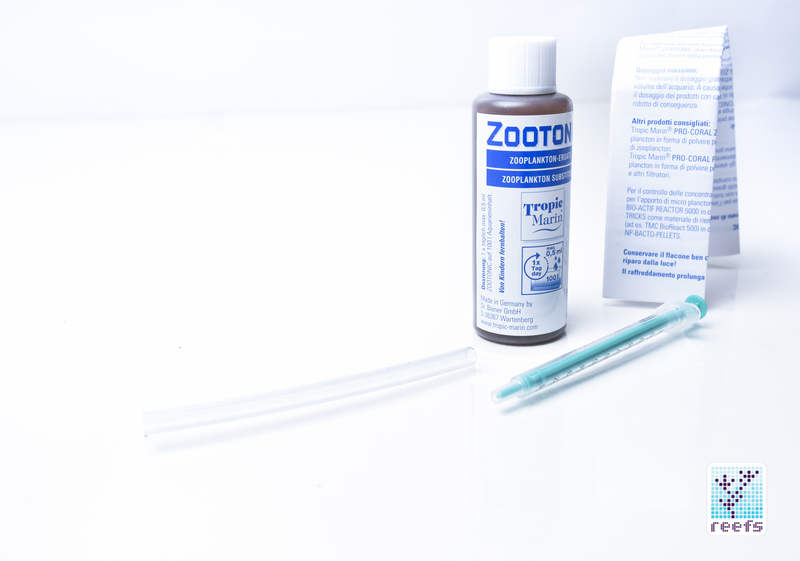 Zootonic has been formulated as a zooplankton substitute for filter feeding animals such as soft and hard corals, gorgonians, anemones, and feather dusters, as well as small fish that require microscopic food in their diet. 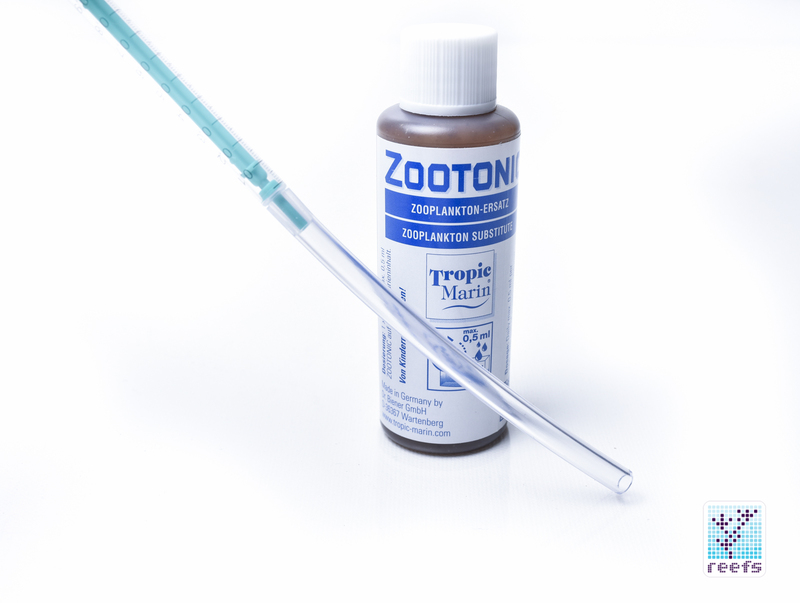 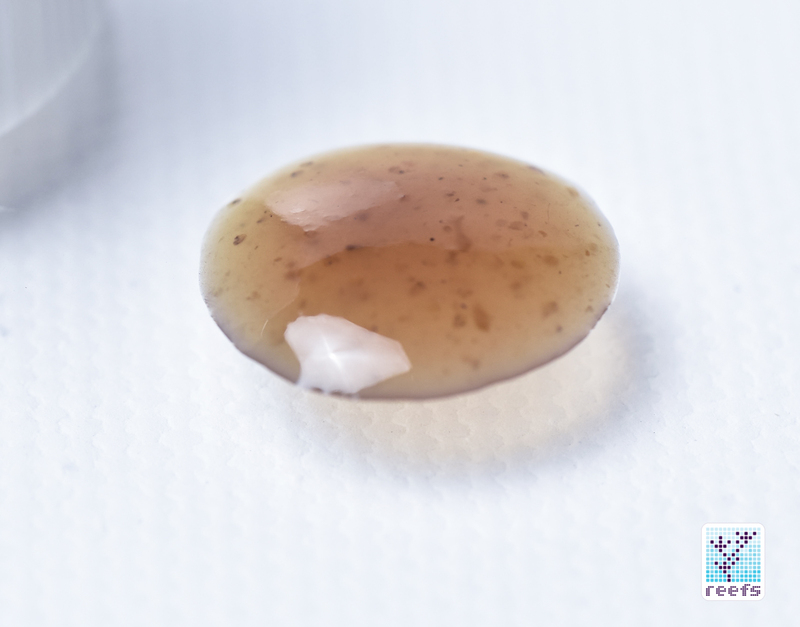 Zootonic comes in a liquid form with a syrupy consistency and contains highly nutritious lobster eggs, as well as various crustaceans infused with amino acids, unsaturated fatty acids, and vitamins. 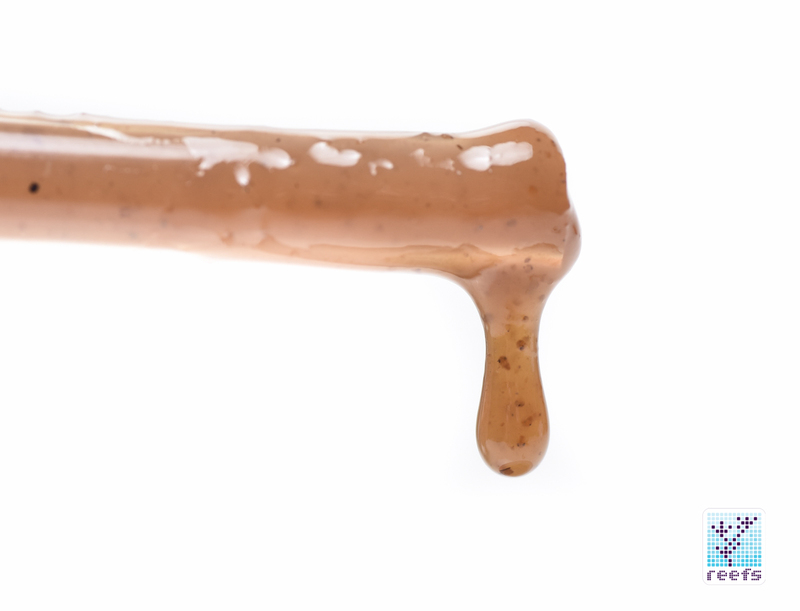 It can be stored unrefrigerated in a dark, cold place, but keeping it in the fridge extends its shelf life. 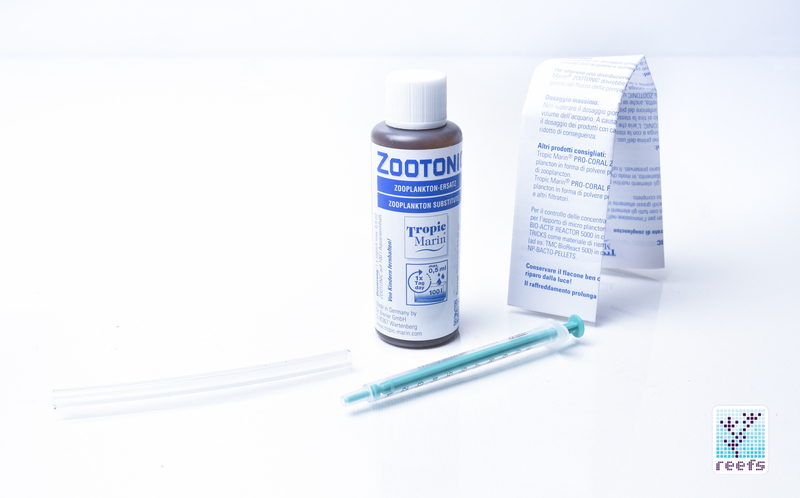 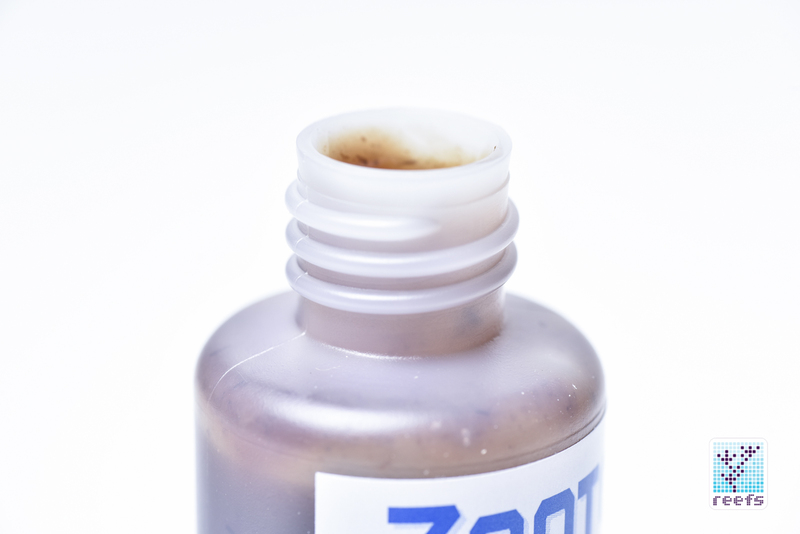 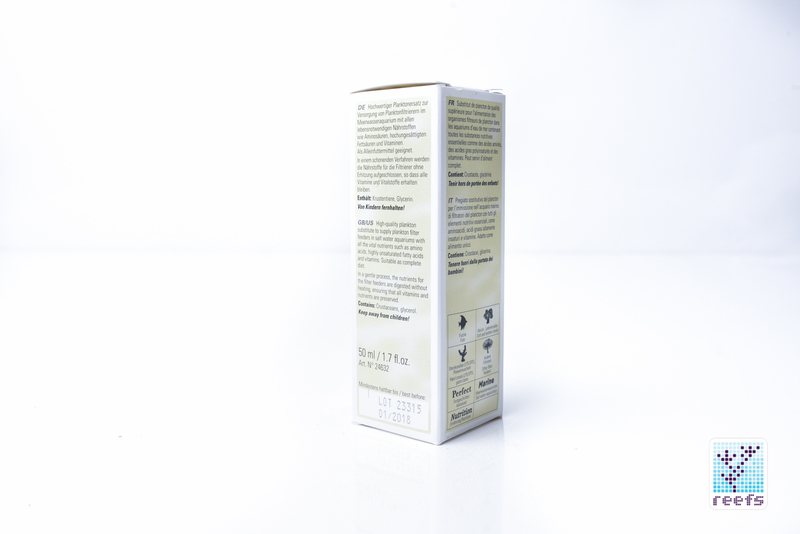 Sold in 50ml and 200ml bottles, the Zootonic retail package comes with a printed manual in several languages and a 1ml syringe with a length of extension tube for target feeding. 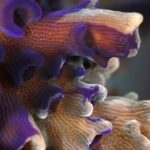 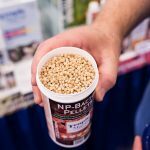 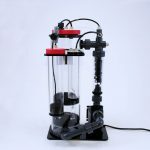 It can be squeezed directly into the tank in an area of high flow or mixed with other foods and dosed at feeding times. 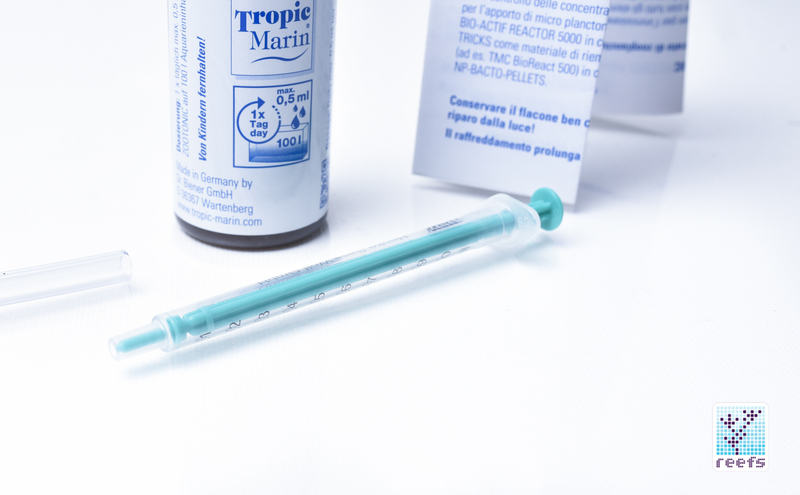 Tropic Marin recommends an initial daily dose of 0.1ml per 26 gallons (100l) of aquarium water. 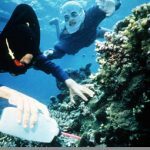 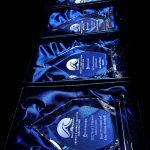 Zootonic contains organic carbon, therefore dosage of other carbon sources in a reef tanks should be adjusted accordingly. 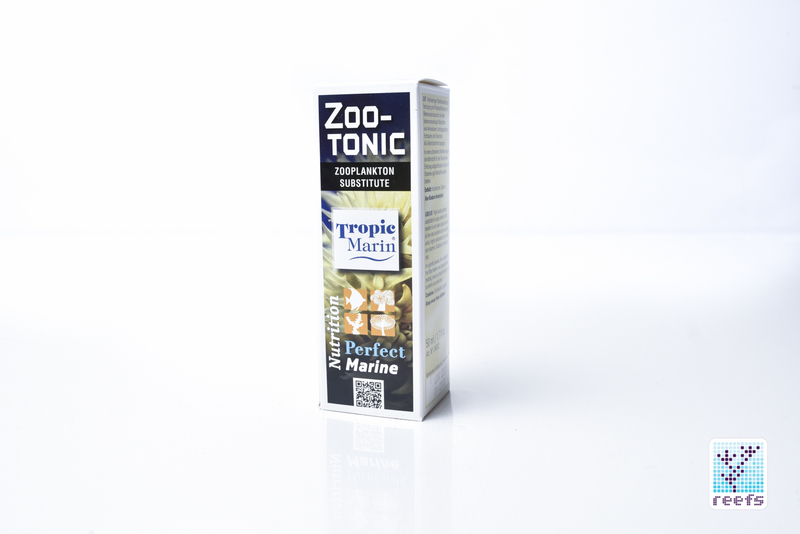 For more information about Tropic Marin Zootonic, please visit the Product Page.